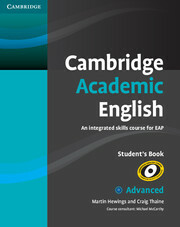 The C1 Advanced Student's Book consolidates academic study skills. 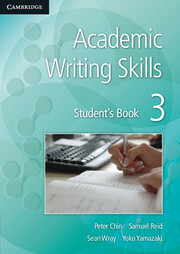 Students' analytical skills are challenged with an increased range of authentic written and spoken academic texts. From essay organisation, taking notes, group discussion to writing references and paraphrasing texts, the students are presented with a wealth of practice opportunities to enhance all academic skills at this level. 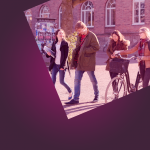 The course further develops independent learning skills and critical thinking through 'Study tips' sections and allows for personalisation of learning in the 'Focus on your subject' sections. Lecture and seminar skills units provide authentic practice in listening to lectures and participating in seminars.